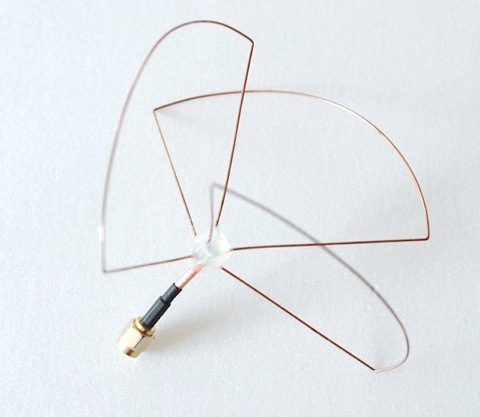 This on-drone Antenna Modification will significantly increase WiFi performance ! 1) Drastically reduce video jitter and dropouts when rotating the drone at a distance. The stock AR Drone is well known for this problem. When downrange, the camera nose must face directly away or towards you to have the best video downlink. Using my Nexus 7 Tablet and no WiFi Range Extender or booster, I flew out to nearly 700 feet and was able to fully rotate the drone and maintained a video downlink. My Galaxy Nexus Phone; close to 400 feet. This was in an open area with no WiFi interference. This antenna upgrade is for the AR Drone 2 only. If you have a magnifier lamp, decent soldering iron with small tip, and good soldering skills, then you can perform this mod. If you are using an iPhone or iPad "control device", then an RC Mod might help you gain some control distance. Some control device's do not have a good WiFi radio. That is the limitation. Not the fact that the AR Drone is a WiFi controlled flying machine. An RC Mod does nothing to help you fly via FPV. You are relying on the AR Drones WiFi video downlink anyway so might as well keep WiFi controlled flight too. Purchase a WiFi Range Extender to be your on-ground repeater between control device and drone. Then you will be able to fly well beyond VLOS. There are other good WiFi control device options too. Such as DBS' Nexus 7 Heli-Pad Mod. My WiFi Range Extender setup enables me to fly out to One Kilometer (3280 feet) and back. Last edited by garrock on 12 May 2013, 18:49, edited 1 time in total. love to see the tutorials popping up great work! I need to get me one of these too! I think he only has a small amount but that begs to the thought perhaps we should pool together to get these made into a proper kit and more made to exact spec. How could we improve it both signal wise and asthetic wise? What about a proper mounting kit? What about a modded mainboard as an option complete with external antenna coupling and trace/inducer mod? I know most of us will end up replacing a mainboard at some point so if so why not with a modded one available as a kit complete with a wheel antenna? HighGain I'm sure could help with his wealth of RF experience. HGT would you be willing to work on this with us/me to put something proper together? Could even add an optional HGT booster module which I saw you were looking at complete with mount to bottom plate, we could do something like that? Awesome, need to do one myself! Pardon the noob question, but what about something shaped like this or do these work differently? I think I saw it on Solaris's post somewhere here - it actually looked quite nice and high-tech with the cloverleaf sticking out from the drone's arse. I can see having a quick fit SMA on the bottom of the drone would be a good idea. Then you can screw on any antenna you want to. That cloverleaf looks interesting, I'm going to attempt some altitude flying soon which it would be good for. But I think the wheel antenna would be just as good and multi-purpose anyway. Don't know if it help but I have a couple cncs and could possibly come up with some nice looking mounts, if that would be of any help and/or interest. I was already thinking of picking up some foam and making a better body with and including a better cavity for the mods I hope to be doing. Hi Garrick where did you get the wheel antenna?? Tried a few searches but keep drawing a blank! Yep hopefully dude, really keen to see how well this works, just not sure if I've got the confidence or soldering skills to do the mod myself!! Will be waiting for where to get the wheel antenna also. One thing though - can't it fit inside the drone hull (for protection and aesthetis) or does the bottom baseplate interfere with the signal? Last edited by garrock on 12 May 2013, 18:51, edited 1 time in total. veli wrote: Will be waiting for where to get the wheel antenna also. One thing though - can't it fit inside the drone hull (for protection and aesthetis) or does the bottom baseplate interfere with the signal?